Bangalore is one of the important cities in India that has several big companies. Not only IT companies, it also has several giant manufacturing companies. If you are looking for the top manufacturing companies in Bangalore, the below list of top 10 manufacturing companies in Bangalore will help you. 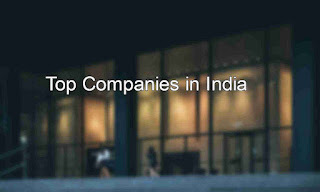 We have put our best effort to come up with this list of manufacturing companies in Bangalore. You can certainly tell us if there is any other very good manufacturing company worth mentioning in this article. BEL was established in the year 1954 as a single unit in Jalahalli, Bangalore and also expanded its business in 8 other units located in Ghaziabad, Pune, Machilipatnam, Kotdwara, Navi Mumbai, Chennai, Panchukula, and Hyderabad. Its primary aim is to build electronic equipment in India Defense Services and later it also developed equipment in the field such as Radars, Naval systems, C4I systems, Weapon systems, Homeland security, Telecom and broadband systems etc. To be a world class electronic professionals. Defense communication products, Land-Based Radars, Naval systems, Electronic Warfare systems, Avionics, Electro Optics, Simulators, Weapon systems, C4I systems, In Defense field and E-Governance systems, Turnkey projects, Telecom broadcast systems. It is one of the top 10 manufacturing companies in Bangalore. This company shortly known as BHEL was incorporated in 1964 and with study foundation of over five decades it is an integrated power plant equipment manufacturer and one of the largest engineering and manufacturing company in the design, engineering, manufacture, construction, testing etc. It provide services and products for wide range of sectors such as Power, Transmission, Industry, Transportation, Renewable energy, oil and gas, water and defence. It is one of the best manufacturing companies in Bangalore. BHEL constitutes most of the annum capacity for power plant equipment manufacturing in the country. This company has 17 manufacturing divisions,2 Repair units,4 regional offices,8 service centers, 6 overseas offices ,6 joint ventures 15 regional marketing centers. It acquires and adapts best technologies from the following companies along with the technologies developed in its own R&D centers. The company’s mission statement includes providing sustainable business solutions in the fields of energy, industry, and infrastructure. Power products include Air preheaters, boilers, control relay panels, pumps, valves etc. Products under industry include capacitors, ceralin, compressors, gas turbines, steam generators, steam turbines, valves etc. An R&D product includes fuel cells, surface coatings, load sensors, automated storage and retrievals. Transmission Products include Power transformers, switch gears, capacitors, bushing, insulators etc. This company shortly known as ITI was established in the year 1948 and it is the first Indian public sector company in the field of telecommunication. This also provides proven secure communication for India Defence services and also joined the league of world class vendors of Global system for Mobile technology. Products offered by this company as GSM/CDMA, Defense products, and diversified products. Services offered by this company are Managed Lease Line Network, Standalone signaling transfer point network, systems integration Telecom and IT, customer care service etc. This company is a public sector undertaking and was established in the year 1964 for manufacturing rail coaches and spare parts and mining equipment. This company is situated in Bangalore and also has 9 other manufacturing units spread across the world. The three major divisions focused by this company are Defense, Rail, Power, Mining, and Infrastructure. This company manufactures defense products such as Recovery vehicles, snow cutters, vehicles for missile projects etc. and it also manufactures mining equipment such as bull dozers, excavators, dumpers, shovels, loaders and under rail & metro business the company manufactures rail coaches, metro cars, AC EMUS etc. Products of this company are Mining &construction, Rail & metro, defense, engine, Hydraulic and Powerline aggregates. It was established in the year 1953 with a thought to manufacture mother machines to build modern industrial India. Machine tools subsidiary is headquartered in Bangalore and has 5 other manufacturing units at Bangalore (Karnataka), Kalamassery (Kerala), Hyderabad (Andhra Pradesh), Ajmer (Rajasthan) and Pinjore (Haryana). It is one of the top manufacturing companies in Bangalore. To be a Manufacturing Solution Provider of International Repute, offering best of Products and Services with contemporary technologies for customer’s ultimate delight. Providing one stop shop basis with high quality cost competitive solution. With continuous innovation achieving customer’s expectation with more than what is expected. To provide leadership and direction in the manufacturing sector. 1. It can handle machining and assembly of components up to 50 tons. 2. EOT crane up to 50Tcapacity. 3. Facilities to assemble machines up to 15M height. 4. Captive foundry of capacity 400MT per annum. 5. Pattern shop with modern facilities. 6. Online production monitoring and material management system. HMT machine tools expertise in machine tools as it can develop from simple lathes to multi-station transfer lines, from stand-alone CNC machines to flexible manufacturing systems, thus leading to factory automation, It markets the products through global network that extends over 40 countries and also has a diverse clientele with more than 18000 machines in over 70 countries including developed ones. HMT machine tools include the following technologies High-speed machining, Hard parts turning, precision machining, computer numeric controls, computer integrated manufacture, flexible manufacturing systems, metal forming including Die casting & Plastic processing. A Hindustan motor was established in pre-independence era and later was operated at 1948 to manufacture automobile appliances using its automobile power plants located in Uttarpara, West Bengal and Pithampur, Madhya Pradesh. This company produces the iconic ambassador in the passenger car segment and light commercial vehicle 1-tonne payload mini truck. It is one of the top manufacturing companies in Bangalore. ABB is an integrated company that manufactures industrial equipment which facilitates industrial digitalization operating in more than 100 countries. Products offered by ABB are Control room solutions, drives, high voltage and low voltage products, medium voltage products, PLC automation, robotics, semiconductors, transformers etc. This company was founded in 1994 in order to build and manufacture compact electric vehicles which are headquartered in Bangalore. This is an electric car company with a joint venture between Maini group of Bangalore and AEV LLC of USA. It is one of the top manufacturing companies in Bangalore. This company is widely known biggest vehicle manufacturers in the world. This company started their business by creating spinning and weaving wheels and also created automatic loom which made the creators get introduced in the automotive industry. Toyota is one of the top manufacturing companies in Bangalore. They have become the first vehicle manufacturer in Japan and the first model came in USA in 1957 and by 1965 it created the model such as Corolla thereby the company’s reputation began in creating domestic products. To be a core company in global Toyota operations. To delight the customer with their products through innovation and new technologies. To achieve best quality products in order to attract customers. Creation of eco-friendly Company in harmony with nature. Implement a flexible business model by continuous improvement. Products of this company are cars, MPVs, SUVs and hybrid cars. Hope you find the list of 'top manufacturing companies in Bangalore' useful for you.